Tina McKissick was raised on a farm in Georgia with plenty of horses and dirt bikes to ride and haylofts to jump from. She used these experiences to earn her first stunt job in 1998 on Forces of Nature with Sandra Bullock in Savannah. After moving to New York in 2001 she went on to stunt double for The Olsen Twins, Kelly Ripa, Jessica Simpson, Dakota Fanning, Kristen Bell, Hillary Duff and most recently Melissa McCarthy in Ghostbusters among many others. 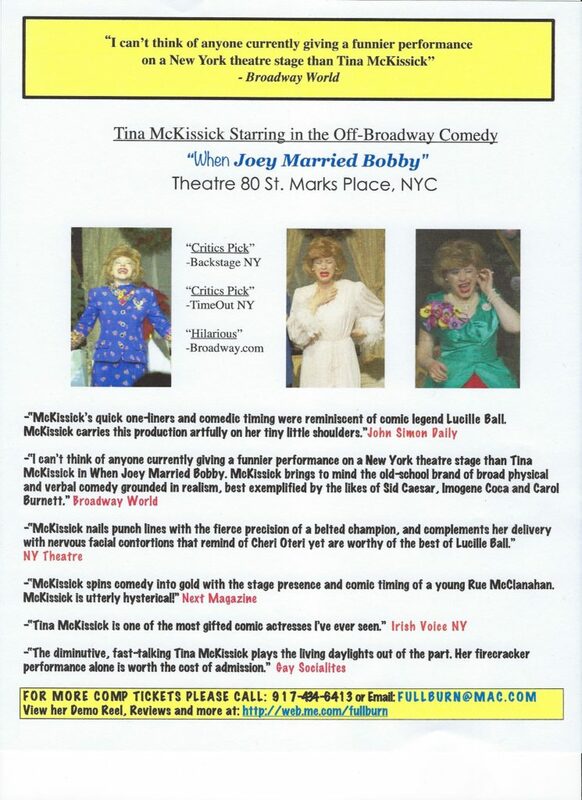 Tina is also a Regional and Off Broadway Character Actress as well as an Animation Voice Over Artist. 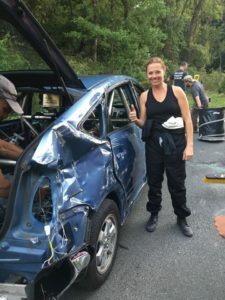 I have been a stuntwoman for 20 years and looking back on my career I have only wished for one thing, that I didn’t have to struggle as much as I did for the career I was so passionate about. If only I could have afforded more training in the beginning while trying to find my next stunt job, maybe I would have been considered for more opportunities when they arose. If only I had known more about stunt safety, maybe I wouldn’t have endured some of the injuries I did. If only there had been a place I could have freely asked for advice and someone to tell me the proper equipment to have ready at all times, I could have been better prepared. 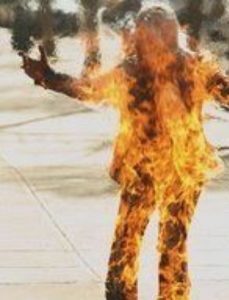 Yes, we all need to learn somehow, but I don’t believe throwing someone into the fire (literally) is the best solution. With a recent rise in stunt performer injuries, I have also become very concerned about our industries safety standards and practices. More and more young women are asking me to mentor them as they don’t know how to maneuver in this field, but they do know their hearts desire to be a stuntwoman. I see myself in them and don’t want them to experience an unnecessary situation or preventable injury. 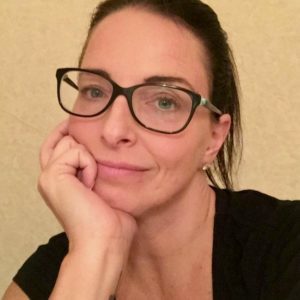 After reaching out to other stuntwomen about their experiences, I realized they also had the same multitude of hurdles I did just to remain in the industry. It was then that I decided we needed something bigger. 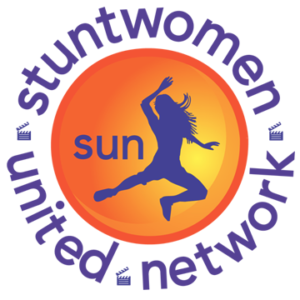 Formed solely for SAG-AFTRA stuntwomen, Stuntwomen United Network, Inc. (S.U.N​.​) is dedicated to breaking down barriers, bridging the gaps and empowering our members so they may have an equal and fair opportunity for success in a male dominated industry. A stuntwoman’s needs are an anomaly and getting help from appropriate sources can be a challenge. By providing financial assistance and support as well as scholarships for training and growth, S.U.N. women will be better prepared and trained for their job giving them a step up where this is not only necessary but critical to their lives. Born in New York and adopted at birth, Joanne was raised in Northern New Jersey, just outside of New York City. Early on, she excelled in athletics, often displaying her gymnastic talent on the peak of the roof of her house, much to her parent’s horror and later, in high school, as a state ranked athlete in track and field. She attended the University of Miami in Coral Gables, Florida, studying Marine Science and Physics, but decided to follow a much different path to become a stunt performer and made the move to Orlando when Universal Studios had actual working sound stages and often filmed television shows and movies. After working “stunt / game safety” and as the “Resident Mermaid” on Nickelodeon’s GUTS, she moved to California on January 14, 1994. On January 17th, the Northridge earthquake occurred making it nearly impossible to find safe housing. 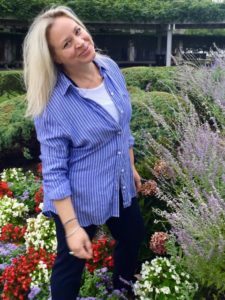 A few months later, she moved back to N. NJ to pursue a stunt career in the New York City market. 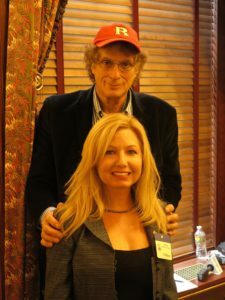 Upon Meeting Danny Aiello III, at a wrap party for a film, he told her that he could use her on a show he was running and less than a week later, Danny called, giving her, her first professional stunt job and ability to join the Screen Actors Guild. Joanne still owns a winter home in Florida where she enjoys the ability to SCUBA right off the beach, kayak the rivers and bays and where she can easily train with her firearms, but remains mostly in the NYC area where she enjoys the theater and often says if she had “real talent that didn’t involve gravity, she would have loved to perform musical theater”. for Stuntwomen United Network Inc. They fight, they fall, they get lit on fire and crash cars! Professional Stuntwomen are the unsung heroines of your favorite TV show or movie but have you ever met one!? 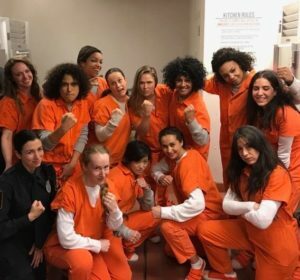 On October 11th, 2018, Stuntwomen United Network Inc. (S.U.N.) will host a red carpet gala that will take place at White Eagle Hall in Jersey City, NJ. Come meet the Stuntwomen and Stuntmen who make your most celebrated actors look stunning in action! New York has a multitude of action- packed shows like, The Blacklist, Blue Bloods, Law & Order SVU, Blindspot, Gotham, FBI and Orange Is the New Black just to name a few. This is your opportunity to meet the women and men who make those action scenes come to life and watch them showcase their talents! Join us for an open bar at this celebration featuring gourmet caterers and a hand rolled sushi bar. Special appearances by body paint artist Monty Knowles and DJ BryanRoot. The evening will spotlight aerial artists, silent auction, photo booth, and red-carpet interviews with celebrities in attendance. S.U.N. 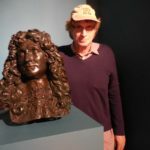 would like to thank the generous sponsorship and continued support of SAG-AFTRA, New York Women in Film & TV, New Jersey Motion Picture & Television Commission, and Crew Me Up. The Stuntwomen United Network, founded by Tina McKissick, is dedicated to breaking down barriers, bridging the gaps and empowering members so they may have an equal and fair opportunity for success in what has traditionally been a male dominated industry. S.U.N. will help fight for improved safety standards and practices across the TV and movie industry. Formed solely for SAG-AFTRA stuntwomen, Stuntwomen United Network, Inc. was incorporated as a non-profit organization and filed for 501c3 Tax Exempt status with the IRS. This event will plant their flag into the entertainment industry and landmark their endeavor of coming together in solidarity to achieve positive changes.